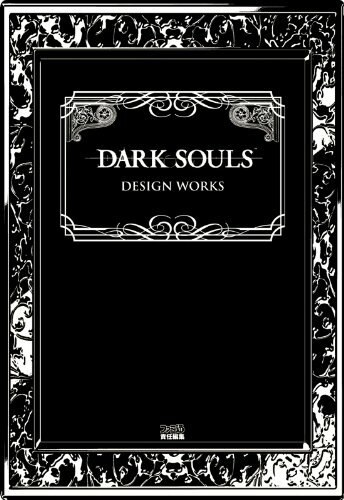 I'm glad that there's an official art book for Dark Souls when previously, Demon Souls only had a small art book that came with the game. This book is a 128-page hardcover. It comes with a translucent white dust jacket. The cover inside has a black design that certainly looks better than the dust jacket. The book collects the concept art for characters, enemies, background, weapons and items. There are two chapters, one on concept art and the other on early designs. The chapters are not necessary because they are all concept art. In fact, the organization of content is a bit chaotic. Take the weapons section for example. They are not strictly grouped by type. There are axes together with broad swords, spears with shields, etc. Same thing with the characters and enemies. The concept art featured are nice but with a slightly rough art style. I would have preferred a more finished look especially for the environment art. They are printed quite small because they don't have enough detail to go big, or too unfinished. The designs are great but somehow they don't have the same forbidding feeling you get when playing the game. The Dark Souls world is quite big and I'm surprised they didn't include more environment art. I love the character designs for this game. The enemies are incredibly scary. There are lots of enemies featured. It's good that some have included many design variations, but many also come with just one design by itself. There aren't any 3D renders. The weapon designs are interesting, but I felt that not all weapons are included. I've the game guide and there are a lot of weapons not included here. The last few pages are interviews with the designers of the game. This book is a bit underwhelming for me. Maybe it's because of the rough style of art, or because there aren't as much environment art which I was really looking forward to. oh no! an japan release only?